The above photo is courtesy of Dr Elmer Duncan. 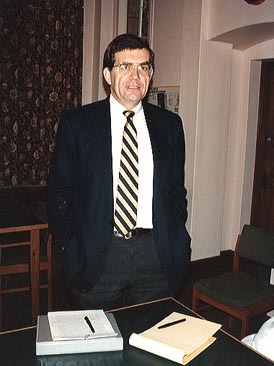 Dr Ferguson formerly served as senior pastor of St. George's-Tron Parish Church in Glasgow, Scotland and First Presbyterian Church in Columbia, South Carolina. He is currently a teaching fellow at Ligonier, a visiting professor at Westminster Seminary, and an associate preacher at St. Peter's Free Church in Dundee.